I am very happy with my Audioquest Slate bi-wire cables but every once in a while I wondered about my IC's. The Slates realy let me hear the difference between IC's. So I dragged them all out and played cable reviewer. After the comparison between interconnects I was happiest with the MicroPurls between the Marantz SA 8001 and the Krell. I felt the Micro's were more satisfying than my TQ 2's which is a larger guage of the same cable construction. The cable shootout involved IC's from Goertz/Alpha Core, Monster Cable, AR, old Nordost Black Night and memories of Audioquest King Cobra's. Once again proving to myself that I enjoy solid core over stranded cables. I began to think of any ohter solid core cables that I have found interesting. Then I remembered the DNM Reson IC's that I had heard so much about. A glass of wine in one hand and a credit card in the other I ordered a pair. I could be wrong but they were the first solid core cables I was aware of for audio. If they are a success I may purchase a pair of their speaker cables. The picture below will show their construction. If anyone has experience with the cables please let me know what you think. Oh but I will probably get drunk and order them anyway. Last edited by JohnMichael; 10-15-2010 at 07:43 PM. JM, have you ever heard Transparent in your system? That's the brand our Krell dealer used with the Krell. Almost sure it's stranded but I preferred the result over AQ. I have not heard the cables before but absolutely loved the thread title so i had to comment HAHA!!!! One day I'll replace my AQ GR8's but i have no idea with what yet. Yes, sometimes I am surprised when the UPS man is at the door. I had to quit an online music club because I would be drunk and nostalgic and think I needed to hear a "Horse With No Name"
I am anxious to hear them but the store will not ship until they return from the audio show. I also own the GR-8's and then purchased the Slates from Audio Advisor. They would be a nice step up. AA terminates the cables themselves at a good savings. I tend to prefer solid core over stranded cables. If I like the DNM Reson IC's I might try their speaker cables. Post originally typed and sent by i-phone. Reworded for clarity. Last edited by JohnMichael; 10-24-2010 at 08:53 AM. Well I took your lead on friday night. I had been debating back and forth on getting some new speakers for the other room but just couldn't justify pulling the trigger. I don't need them at all and already have a pair in rosewood finish but wanted maple also. A few beers into a Heavy Seas Sampler I placed the order. Well the cables arrived. The DNM Resons I ordered were 1 meter with the DNM plugs. What I received was the 2 meter pair with the Eichman Bullit plugs. The Bullit plugs are mostly plastic and need to be heated by a hair dryer or another heat source to cause the collars to expand and lock tight on the rca's. Well I used the toaster to warm up the male rca's and the smoke alarm sounded. Wow already making music. They are playing in the living room warming up while I watch tv. As soon as I am familiar with the sound I will post my findings. I will be comparing them with my AlphaCore TQ2's and Micropurl's along with the Monster, AR and fairly recent memories of the Audioquest King Cobra's. The AQ KC's were not compatible with my system. I am enjoying some wine and I hope I do not order the Canon 50D camera body tonight. Last edited by JohnMichael; 10-23-2010 at 04:14 AM. 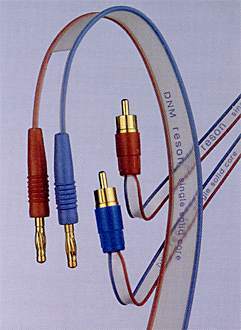 In 1984 DNM made the first spaced-pair single solid core audio cables which over time became recognised for their unique clarity of sound. They were designed to give improved magnetic performance and good amplifier loading, factors which have been neglected by other cable makers. Low cost and high performance ensured the commercial success of DNM cables for over 23 years. In 2007 DNM cable research moved on : driven by the demands of our amplifier technology, we announced Stereo Solid Core Precision audio cable using a unique design of ribbon to enhance performance and ease of use. DNM Stereo Solid Core cable is designed to enable any amplifier driving the cable to work optimally into the cable load. Ultra high frequency interactions between the amplifier and cable play a major part in determining the sound quality of the combination, but observed differences in sound are normally attributed to the cable alone, a misunderstanding that has created some unneccesarily complex and expensive audio cables! The design of the insulated casing (the ribbon) plays an important part in the sound quality of DNM Stereo cables for reasons shown in this link How DNM Stereo Solid Core cable works. One key aim of the new DNM Stereo cable design was to make the preparation and termination of the cable much easier, so that customers could choose to fit the connectors themselves and save money. Our DNM online shop sells cables and connectors and also offers a construction service for customers who prefer to purchase complete ready-to-use cables. This link gives detailed information with illustrations about Preparation/Assembly of DNM stereo cables and Directionality. In 2008 the DNM range of stereo solid core cables was extended to three types, two stereo/bi-wire speaker cables and one stereo interconnect cable, offering an ideal cable for most applications with the clearest sound regardless of price. The three DNM Stereo/Bi-Wire cables are available to be sent to most countries in our new online shop. DNM uses scientific principles to set the basic cable parameters, defining the magnetic and ultra-high frequency characteristics, both factors that really do affect the audio performance of a cable. Less certain aspects of cable design, such as conductor shape and propagation velocity of the insulation material, add to the mystique of hi-fi cable design and increase the price but not the performance. DNM Design considers the interface between amplifier and cable to be vital for best sound quality. We therefore concentrate on getting the basics right and our tests have confirmed that complex cables with speculative design features, even though they cost much more, usually lack in sound quality compared with DNM cables. The main features of DNM audio cables are described below. Three domestic DNM cables are now available at a modest price but they all give very high performance. DNM uses single solid-core (round-section high purity copper) conductors to ensure that magnetically generated back-EMF is truly proportional to the signal. This contrasts with the untidy magnetically-generated eddy currents that interfere with the audio signal in the conductors of heavy multi-stranded cables and cables using flat section conductors. DNM stereo solid core audio cables use LDPE (low density polyethylene) insulation in a unique ribbon that is designed to improve the audio performance. The DNM stereo ribbon is dimensioned for the application and it contains four conductors that carry two channels for stereo or one bi-wire channel. The ribbon is a key element because it controls the all-important spacing between the conductors defining the RCL balance (resistance, capacitance and inductance) which determines the ultra-high frequency loading - a factor that definitely affects the sound quality of the driving amplifier. The DNM conductors are encased in a semi-transparent outer ribbon. The ribbon has an offset between its own plane and the plane of the conductors, as shown above. This causes air to be the primary dielectric, reducing the capacitance between the conductors and increasing linearity. Carefully selected spacing between the conductors minimises the high frequency reflections that can reduce the performance of the amplifier. An easy-separation feature is designed into the ribbon which has the added advantage of reducing its tendency to resonate when the speaker current causes the conductors to be magnetically pulled together (reducing the Q of the structure). The combined effect of all the advanced features in DNM Stereo Solid Core cables offer a new level of sound clarity at a modest price. The three versions of DNM stereo cable are illustrated in detail here to compare their cross-section size, the drawing also shows dimensions and full technical information. Full cable preparation and assembly instructions here - extremely thorough, with helpful photos. Since the early 1980's, there has been an increasing demand for high-quality interconnect and speaker cables. What began as a quest by music lovers to get that little bit more out of their hi-fi systems has grown into a multi-million pound business, full of marketing hyperbole, exotic packaging and enough expensive metal to build a ship! Unfortunately, many of these over-engineered cables owe more to increasing the perceived value of the product than to improving sound quality. Ribbon-type solid core cable was originally developed by DNM back in 1984 and now has many converts. It represents the opposite approach to most of the audiophile cable market, but it is designed for domestic audio - and for that application we believe it is the best at any price. The majority of cables used in audio have been selected for their low inductance, low resistance and high capacitance characteristics as measured on the test bench. These parameters define what are believed to be the electrical properties most ideal in an audio cable. Applications, however, vary widely, from recording studios through public address systems and live concert amplification to the domestic, with each having its own particular demands. No multi-purpose cable can suit the precise requirements of the domestic music lover as well as one designed specifically for that purpose - as home listening tests prove! There are good technical reasons for this. Once the cross-sectional area of a cable exceeds a certain size, things begin to go badly wrong with the sound. Complex interactions between the cable and the magnetic fields generated by transmission of an electrical signal cause circulating eddy currents, which also generate significant magnetic fields. A cross-section of a comparatively simple ten strand multi-core cable showing damaging field interaction. This magnetic mess reduces midband clarity and often creates a bright treble and indistinct bass. These induced magnetic fields oppose the original signal - the result is distortion. In short - smaller cross-sectional area gives greater clarity. When auditioning speaker cable, most of the differences heard are caused not by the cable itself but by the amplifier reacting to the revised loading of the cable. Large, multi-strand cables are recommended by some manufacturers because their low resistance is thought to maintain the amplifier's low output impedance. Whilst this is true, it has no sonic benefit at all because amplifiers sound better when driving through a resistive or inductive load. Large diameter high-capacitance cables connect the amplifier's sensitive feedback control system to a short circuit, a type of load that invariably worsens the amplifiers sound quality. A cross-section of the spaced pair DNM reson cable shows its simple, clean and uniform magnetic field frozen at an instant in time. It is easy to forget that music signals produce a complex, dynamic version of this picture-and the field interacts strongly with the conductors. Bearing this in mind, it would be amazing if different cable designs sounded the same - not amazing that they sound different!. Smaller diameter cables with higher resistance and inductance help to isolate the amplifier's feedback control system, improving clarity throughout the frequency range. This argument for the speaker cables applies equally well for each element in the audio chain, other cables and even electronics. So the interconnect cable is equally important and amplifier design is influenced by these considerations as well. The final proof is in the auditioning. Although our cables are inexpensive by high-end audio standards, we believe that they prove their worth, no matter how complex and expensive the competition! A question often raised by customers concerns the use of plastic bodied RCA plugs on our interconnect cables. Compared with competitors, these plugs look rather inexpensive but they assist the performance of DNM reson interconnect cables. Using a cable so carefully designed to minimise magnetic effects with a large chunk of metal soldered on the end would be self-defeating. Consequently, all our connectors have minimal metal content because metal is needed only for the signal path and the contact area. This DNM philosophy is consistent throughout the product range. Its formulation is a result of careful research into the effect of dynamic magnetic fields on audio signals. Understanding field effects should no longer be a quantum leap in audio thinking - especially for a technology led industry! (These connectors plus DNM cables are available in our new online shop. JM, I'm glad you posted that info. Jimmy Neutron and Markw in their ignorance to Eddy Current really gave me a hard time in a prior thread discussing directionality of cables. Markw still tries to bring it up to embarrass me sometimes but he doesn't realize it's no bother since I knew what i was talking about, and, they didn't. I was out numbered and they were closed minded so they twisted the info I tried to show them around.. It would be interesting to hear a pair of DNM in comparison to some other brands. Assuming their science is accurate I like the fact they are able to tune the cables for different sensitivity speakers and amp power ranges. I have not heard their speaker cables yet. I will need the speaker cable for speakers with a lower sensitivity. The 1.00mm for normal speaker application and the power from the Krell should work well together. Of course the IC's and the Audioquest Slate bi-wires are sounding good. I will be interested in your opinion also John. I think I will stick with King Cobra for the rest of my needs. Did you ever run a KC in your phono connections? Yes I did. They were not compatible with my system or my ears. I tend to be more sensitive to changes in IC's than I am with speaker cables. I think the lower voltage from source to amp can be more easily effected than the higher voltage from amp to speakers. After some early listening I may have found my IC's. This morning I was really enjoying the music. Listening to some jazz I was surprised how natural everything sounded. I cannot say the cables have any sound of their own. Compared to the AlphaCores which have good highs and strong bass the DNM's only have good highs when instruments higher in frequencies are being played. Bass is taut and well defined. The DNM's let you hear the character of the instruments instead of an ill defined rumble. Best soundstaging without sounding like 2 dimensional cut-outs in the room. Much easier to be drawn into the music. One of the things I noticed while comparing my IC's was that I liked the Alphacore Micropurl the best befoe the arrival of the DNM IC's. The Micropurls were the smallest guage and the DNM's were smaller yet. I am wondering at least as far as IC's are concerned does the smaller solid core guage create a better sounding cable? Last edited by JohnMichael; 10-23-2010 at 10:59 AM. Malcolm Hawksford's study about IC's concluded that the best connection was solid core at about 22-26awg. So yes, for solid core I think higher is better. I considered for awhile the LFD Integrated Zero MKIII amp wich Dr. Hawksford helped design. He has also criticized Class D amps which after owning one I partially agree. Now I agree completely with his thoughts of IC's. Contrary to my usual practice of listening to the differences in cables I find I am listening to cd after cd and rediscovering the music. I will be ordering another pair for between the Gram Amp 3 and the Krell. I also own the GR-8's and the Slates purcased from Audio Advisor would be a nice step up. AA terminates the cables themselves at a good savings. If I like the I might try the speaker cables. I'm using a pair of 3m GR8's in my setup too. Well made cable, never thought about switching it out since I got it. You and him have a lot in common. I have read that he likes long walks after sunset and sharing an ice cream cone with someone special. Maybe you should try and get his number? "rediscovery" of source material is the best indicator that you have made a step forward, and in the right direction. The Moth arm has got me working double time, scouring all of my favorite LPs. Joni's Mingus has never sounded so immediate and lifelike. I need another pair of KC's for my CDP. Joni's Mingus has never sounded so immediate and lifelike. When I get my other pair of DNM's and they work well with the Gram Amp 3. Then if you would like to hear the Micropurls and TQ2's in your system I can send them North. Oh and thanks for being a matchmaker. No one has ever done that for me before. That's a great offer John, thanks. I'm not sure if I would take you up on it or not. The AQ's are doing so well, I am happy with them. But then again I suppose why not? Let me know I guess. BTW, what are your opinions regarding "theming" your cabling? I know alot of guys like to use only one brand throughout. But should I focus on more King Cobra, or do you think the Coral will be good also? I guess I just need to try and find out. The MicroPurls and TQ2's would only be for loan and to try different cables. I have themed in the past with Kimber, Nordost, AlphaCore, Audioquest. The Audioquest Slates are very good cables and work well with both speakers. I am pleased with them but I have always had trouble with brands IC's. I think due to the lower voltage from source to amp the signal is more fragile. I liked the Micropurl and the TQ2 IC's better than any of the previous but the DNM's win hands down. 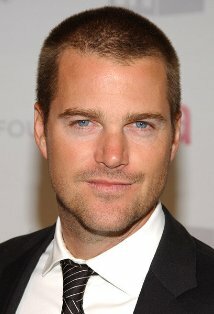 Oh here is who I had in mind for walking along the beach sharing an ice cream cone. Just picked Jaco Pastorius "the Birthday Concert" and wow his bass has never sounded better. The DNM Resons are incredible. Nothing has changed in my system except for the IC's. The music oh the glorious music. I have owned this disc for years and it is like hearing it played back as it should be. No electronic hash or other non musical sounds just the music.